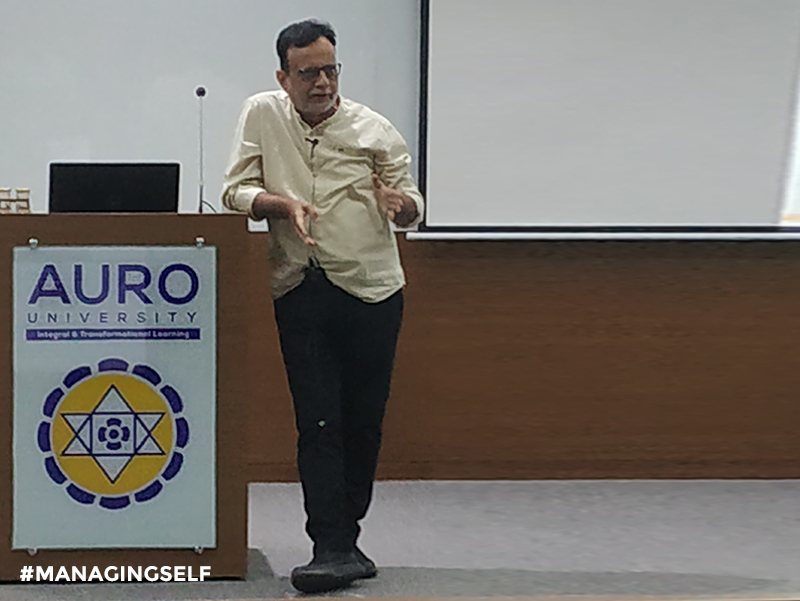 Dr. Hasmukh Adhia, former Union Finance Secretary & Revenue Secretary in Government of India, delivered a lecture on “Managing self before managing others” at AURO University, Surat on Tuesday, April 9. Dr. Adhia explained that managing self is at the core of managing anything in the world. In his simple lucid and humorous style, he mentioned that yoga is the best art of self-management. This hour-long lecture was followed by an interaction with the speaker through questions and answers. 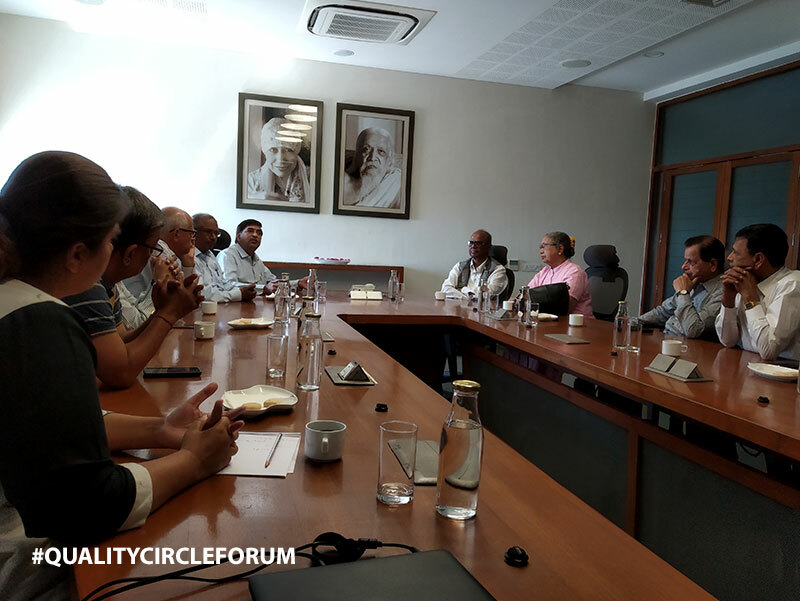 It was a part of the AURO Public Lecture series – a humble endeavor for the purpose of creation, application and dissemination of knowledge and new ideas. This series will provide Suratis an opportunity to engage with the best minds from India and abroad. 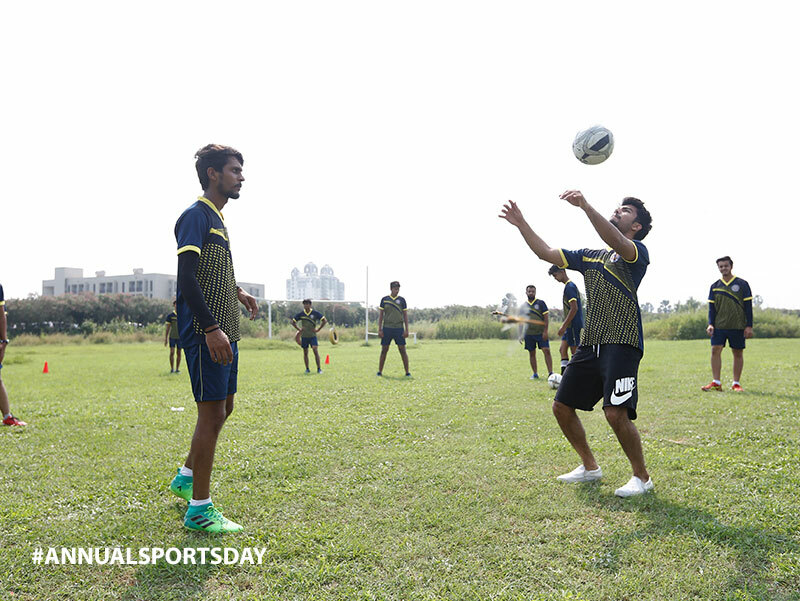 AURO University is the first UGC recognised private university in South Gujarat. It is also the first university to provide integral education and is committed to train the future generation guided by the vision of Sri Aurobindo and the Divine Mother.